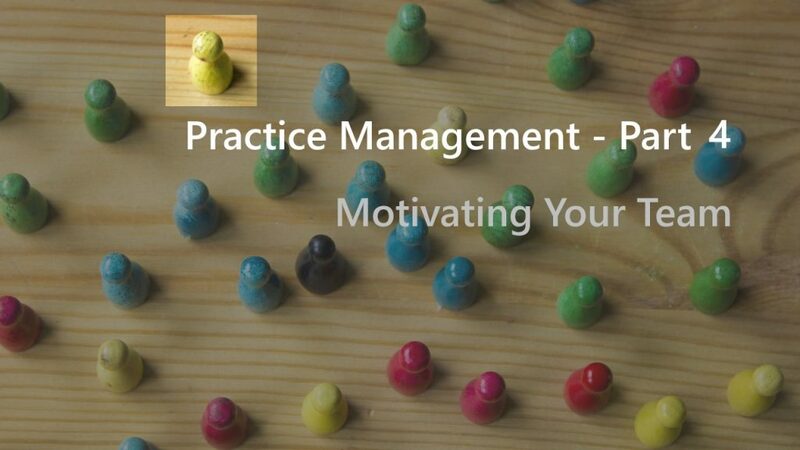 Motivating your team is an interesting and complex process. I look after the consultants in Microsoft Dynamics 365 Practice in my current organisation. Consultants come with a wide range of experiences, skill levels, backgrounds, and their ages range from 25 – 45. Interestingly, motivation factors of each individual may be different while there are obvious common elements. Attracting and retaining high-quality employees is key to their success in any organisation, especially, for a consulting firm. Dynamics 365 is a fast growing market and there is a massive shortage of great talent. As a manager, it is important to understand your market and talent in that market. I regularly engage and collaborate with the Dynamics 365 community in Australia and around the world. This network has allowed me to find great talent without any help from recruiters (most of the time 😀). I am highly selective who I hire and pay special attention to prospective employees` attitude, team skills, eagerness to learn, and intelligence. While the experience with a wide range of technologies and industries are valued, the number of years of experience is typically is not high on my list of key selection criteria. As the proverb “Birds of a feather flock together”, the qualities of the current team attracts people with similar qualities and attitudes. Therefore, it is important to get your team right from day 1. Once in, it is important to maintain their initial excitement and positive feeling as long as possible. While money is a satisfier and not motivator, it is important to keep up with the market rate or higher for the relevant skill set. If not, it’ll definitely be a de-motivator. Using the money to fix other issues is like having Paracetamol to cure cancer. Just won’t work. It is really important to regularly communicate with your employees and be genuinely empathetic. Creating a flexible and enjoyable work environment is also a key factor to maintain sanity in a high-stress environment such as consulting. Flexible doesn’t mean necessarily short hours. It means the ability to attend your child’s basketball game, band concert, or to look after your pet. If it’s important to your team member, it needs to be important to you. The workload in consulting comes in waves. Sometimes it’s calm, other times it’s like a tsunami. When it’s calm, the team gets bored. This is a great opportunity to let them improve their skills, work on something that adds value to the company (i.e. IP Development) and they are passionate about. Select projects for the individuals which allow them to learn something new and/or gain a new skill. This will benefit the employees and also the company alike. I could write a book about my thoughts on KPIs. But in brief, I believe most KPIs are flawed. Most are too focused on the company’s financial objectives and not much on advertised values and objectives. Personalised KPIs are more effective. While profitability is important, an organisation can’t achieve profitability without highly motivated employees.